Evidence Act, 1872 - S. 30 - Penal Code, 1860 - S. 414 - Assisting in concealment of stolen property - Extra judicial confessional statement leading to recovery - How far evidence of police witnesses is reliable, credible - Discussed. For the Appellant/s : Md. Aslam Ansari, Adv., Mr. Sanjay Kumar Singh, Adv. ; Mr. Alok Kumar Alok, Adv. ; Mr.Umesh Kumar Mishra, Adv. ; Mr. Ramadhar Shekhar, Adv. ; Mr. Aslam Ansari, Adv. 1. Criminal Appeal (SJ) No.699 of 2018 wherein Mithilesh Kumar @ Mithlesh Kumar, Rameshwar Kumar, Rajesh Yadav, Amrendra Kumar are the appellants, Criminal Appeal (SJ) No. 847 of 2018 wherein Rintu Kumar Singh @ Chandrakant Singh is the appellant, Criminal Appeal (SJ) No. 902 of 2018 wherein Rakesh Kumar, Naushad Alam, Ankit Kumar are the appellants, Criminal Appeal (SJ) No. 863 of 2018 wherein Mantu Prasad, Sonu Kumar are the appellants, Criminal Appeal (SJ) No. 1064 of 2018 wherein Prabhat Kumar is the appellant, Criminal Appeal (SJ) No. 1984 of 2018 wherein Manish Kumar is the appellant have been heard analogously since all these appeals arise out from common judgment of conviction dated 09.02.2018 and order of sentence dated 12.02.2018 passed by Additional District & Sessions Judge, Vth, Siwan in Sessions Trial No.477/2017. 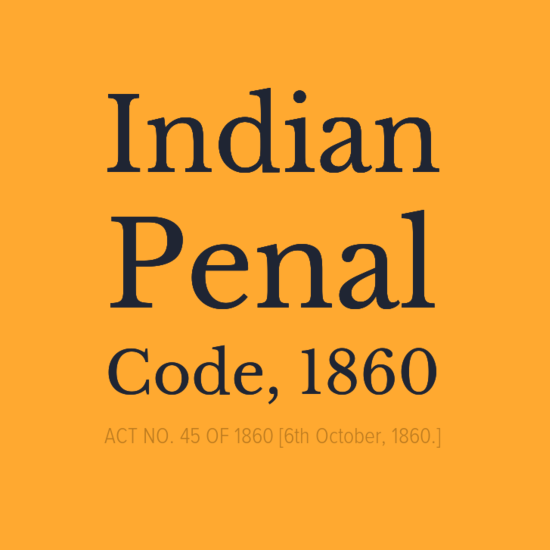 All the appellants named above have been found guilty for an offence punishable under Section 414 IPC and each one has been sentenced to undergo R.I. for two years as well as to pay fine appertaining to Rs.4000/- and in default thereof, to undergo R.I. for three months, under Section 465 IPC and sentenced to undergo R.I. for one year as well as to pay fine appertaining to Rs.2000/- and in default thereof, to undergo R.I. for three months additionally, under Section 468 IPC and sentenced to undergo R.I. for four years as well as to pay fine appertaining to Rs.10,000/- and in default thereof to undergo R.I. for three months additionally, with a further direction to run the sentences concurrently, with a further direction to set off the period having undergone during course of trial as provided under Section 428 of the Cr.P.C. 2. Akhilesh Kumar Mishra (PW.7), Officer-in-charge of Bhagwanpur Hat P.S. recorded his self-statement on 29.04.2017 at 04:00 PMthat after receiving confidential information with regard to assemblage of motorcycle thieves at Sadhu Baba orchard near village-Piprahiya along with stolen motorcycle in order to sale, a raiding party was constituted and raid was conducted during course of which, all of them were apprehended along with motorcycle. On interrogation, the accused who was over motorcycle Black Colour Passion bearing Registration No.BR31L0653 disclosed his identity as Mantu Prasad, the accused who was over motorcycle Black Colour Passion having no registration number, disclosed his identity as Rintu Kumar Singh. The other occupants thereof disclosed his identity as Rajesh Yadav. The person having over Glamour motorcycle bearing Registration No.BR04Y1141 disclosed his name as Rakesh Kumar while other occupants disclosed his name as Raja Kumar. The person over Passion motorcycle having no registration number disclosed his name as Nausad Alam and the other occupants disclosed his name as Mithilesh Kumar. The occupant of Splendor Pro motorcycle Black Colour having no registration number disclosed his name as Ankit Kumar while his companion, to be Sonu Kumar. Then thereafter, they were also physically searched out, questioned over motorcycle which they confessed to be stolen one, having no document with regard thereto and accordingly, in presence of two seizure list witnesses namely Bholu Kumar and Sujit Kumar, seizure list was prepared with regard to respective motorcycle as well as personal belongings and a copy thereof was handed over to the respective accused who endorsed the same over respective seizure list. They have also disclosed that they have assembled here in order to sale. They have also disclosed that at an earlier occasion also they had sold away some of stolen motorcycle at different places to different persons. Furthermore, one of them namely Mantu Prasad divulged the modus operandi as well as also disclosed that through Rintu Kumar Singh, he had sold away different stolen motorcycle to Rameshwar Kumar, Manish Kumar, Nitesh Kumar, Prabhat Kumar of village-Patedha while Amrendra Kumar of village-Dewariya and he is ready to point out the same and could be recovered. Accordingly, they proceeded along with accused persons. They have informed the police officials of Mahrajganj P.S. and were joined by ASI along with armed police personal and reached at village-Patedha where as pointed out, first of all conducted raid at the house of Prabhat Kumar where, in presence of seizure list witnesses Himanshu Shekhar Sahi and Ram Prasad Manjhi, searched and seized Splendor Pro motorcycle having no registration number. Prabhat was present from whom document was asked for. He has disclosed that he has purchased the motorcycle from Mantu Singh through Rintu Kumar Singh. Accordingly, Prabhat Kumar was apprehended, seizure list was prepared and a copy of seizure list was handed over to him who endorsed. Then thereafter, they have conducted raid at the place of Rameshwar Kumar who was also apprehended on account of recovery of Hero HF Delux motorcycle having Registration No.BR01N 7174. On query he disclosed that he purchased this vehicle from Mantu Prasad through Prabhat Kumar and for that seizure list was prepared. A copy thereof was handed over to him who endorsed. Then thereafter, they have conducted raid at the house of Manish Kumar and Nitesh Kumar who were present. On search two motorcycles were found and on query, they disclosed that they have purchased it from Mantu Prasad through Prabhat Kumar and Pintu Kumar Singh. Seized motorcycles were Discover & Honda Shine bearing Registration No. BR01AY 6773, BR2BZ 7186 and for that, respective seizure list was prepared and served upon them independently. Then thereafter, they gone to village-Deowaria where conducted raid at the house of Amrendra Kumar wherefrom Passion Pro motorcycle was recovered having no registration number. This motorcycle was purchased from Mantu Kumar through Rintu Kumar Singh and for that, seizure list was prepared and handed over a copy thereof to accused. Further disclosed that Prabhat had kept the motorcycle. 3. After registration of Bhagwanpur Hat P.S. Case No.93/2017, investigation commenced and after concluding the same, charge sheet was filed, facilitating the trial, subject matter of instant appeal. 4. Defence case, as is evident from mode of crossexamination as well as statement recorded under Section 313 of the Cr.P.C. is that of complete denial. It has also been pleaded that they have been falsely implicated by the police as, they failed to grease their palm though, no oral evidence has been adduced however, documentary evidence has been at their end. 5. In order to substantiate its case, prosecution had examined altogether nine PWs and those are PW.1-Sujit Kumar Singh, PW.2-Bhola Kumar Singh @ Amit Kumar Singh @ Anup Kumar, PW.3-Himanshu Shekhar, PW.4-Ram Prasad Manjhi, PW.5-Hari Lal Raut, PW.6-Dilip Manjhi, PW.7-Akhilesh Kumar Mishra, PW.8-Mukesh Kumar, PW.9-Sanjiv Kumar Singh as well as also exhibited Ext.1 Series-Signature of seizure list witnesses, Ext.2-Series-Seizure list, Ext.3-Self-statement, Ext.4-Inculpatory extra judicial confessional statement of appellant/co-accused Mantu Prasad. Defence had also exhibited Ext.A Series-Academic certificate of appellant/accused Rameshwar Kumar Manjhi, Ext.B Series-Character certificate of accused Nitesh Kumar as well as academic certificate relating to him, Ext.C Series-Academic certificate as well as character certificate relating to appellant/accused Amrendra Kumar. a) The learned lower court recorded the judgment of conviction and sentence against the appellants without appreciating the legal requirement to justify applicability of Section 414 of the IPC and in likewise manner, with regard to Section 465 as well as 468 IPC. b) There happens to be paucity of evidence with regard to proper identification of the seized motorcycle to be stolen property of a particular case. That being so, it could not be said to be a stolen property. c) There happens to be no evidence that any kind of forged and fabricated document has been prepared relating to those allegedly stolen motorcycle and so, no offence under Section 465, 468 IPC is made out. d) All the seizure list witnesses have turned volteface to the prosecution as they declined to support the case of the prosecution so far manner of recovery is concerned, so the genuineness of search and seizure suffers from inherent lacuna. That being so, the manner of recovery as tendered by the prosecution is not at all substantiated by an independent witness. They have also explained in what manner their signatures have been obtained by the police. 7. Excluding the seizure list witnesses, the remaining witnesses are police officials, being interested, partisan as well as hostile tothe appellants in the background of which appellants have been apprehended did not justify acceptability of their evidences. The seized articles have not been produced in the court nor, the police officials during course of their evidence have stated that seized motorcycle were wrapped and sealed and in absence thereof, the story of recovery is not at all found aboveboard. 8. Also submitted that from admission of the police official more particularly PW.5 as well as the Investigating Officer PW.9 para-22 wherein he had categorically stated that Ankit was apprehended on 28.04.2017 from his shop lying at village Bhagwanpur and no motorcycle was recovered from his possession made the whole prosecution case suspicious, doubtful and in the aforesaid background, the cumulative effect did not justify the finding recorded by the learned lower court whereupon, the judgment impugned is fit to be set aside. 9. On the other hand, the learned Additional Public Prosecutor while controverting the submission vehemently argued that acceptance of seizure list witnesses over the seizure list, irrespective of having been declared hostile, will not cast any impediment over admissibility, reliability more particularly, when the same is found duly corroborated with the other evidences. Apart from this, it has also been submitted that during course of statement recorded under Section 313 of the Cr.P.C. none of the appellant challenged the veracity of the prosecution case save and except denying the occurrence in its usual phenomena. Also submitted that even at the time of production before the learned Chief Judicial Magistrate, they have not raised objection nor, while cross-examining the informant, they have disputed the authenticity of the seizure list along with their presence over the seizure list. In the aforesaid facts and circumstances of the case, the judgment of the learned lower court is found maintainable. 10. Coming to the evidence of the PWs, it is manifest that PW.1, PW.2, PW.3, PW.4 are the seizure list witness who have been declared hostile as, they failed to substantiate the case of the prosecution over seizure of the stolen motorcycle. However, have admitted their presence over the respective seizure list. In likewise manner, PW.6 Chowkidar Dilip Manjhi and PW.8 Chowkidar Mukesh Kumar have not supported case of the prosecution and so, they were also declared hostile. 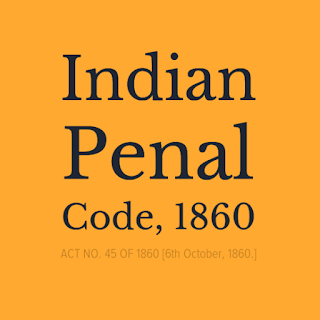 However, during course of examination of the Investigating Officer PW.9, it is evident that his attention has not been drawn up towards previous statement of the respective witnesses in spite of the fact that after declaring those witnesses hostile, their attention have to be drawn up as required under Evidence Act coupled with Section 162 Cr.P.C. 11. PW.5 is the Hari Lal Raut a constable was one of the member of the raiding party. He had deposed that on 29.04.2017 he along with Officer-in-charge Akhilesh Kumar Mishra, ASI Brajnath Singh, ASI Baijnath Singh, ASI Kundan Kumar, Hawaldar Sita Ram Singh, Constable Birendra Singh along with Chowkidar conducted raid at Baba Baghicha under the leadership of Officer-in-charge. They have recovered five motorcycles and three mobile sets from possession of accused persons. The accused persons who possessed the motorcycle, seeing the police party began to flee and during course of chase 3-4 persons were apprehended and from their possession, the seizure were facilitated. Rest managed to escape. He had also identified the accused in dock. Also claimed identification of one of the accused by name. He further deposed that seizure list was prepared in the orchard itself. During cross-examination on behalf of accused Ankit Kumar, he had stated that he is unable to say how many persons were members of the raiding party. In para-5 he had stated that when they reached at the orchard the accused persons, seeing them, began to flee. Mantu was apprehended. Others were also apprehended but he is unable to disclose their names. He had further stated that he is unable to disclose whether the motorcycle recovered and seized were stolen property. He had further stated that Ankit was apprehended from his shop and from his possession one motorcycle was recovered but he is unable to disclose registration number and further, the brand of the motorcycle. Then had denied the suggestion that no motorcycle was recovered from the possession of Ankit Kumar and on an influcne of local unknown person, he has been implicated. On behalf of others he had stated that he is unable to disclose whether there was Station Diary Entry or not before their departure. The Officer-in-charge will say the same. At para-7 he had stated that he reached at the P.O. one and quarter hour after departure from the Police Station. At para-8 he had stated that he was not identifying the accused since before. He had further stated at para-9 that all the seizure list were prepared in his presence. Altogether eight seizure list were prepared. 12. PW.7 is the informant. He had deposed that on 29.04.2017 he was SHO of Bhagwalnpur Police Station. On that day at about 11:00 AM he received confidential information with regard to assemblage of 8-10 motorcycle thieves in the Baba Baghicha along with stolen motorcycle for the purpose of sale whereupon, constituted the raiding party (named) and proceeded therefrom. They reached at 11:30 AM. Just after reaching at Baba Baghicha, they have seen so many persons along with five motorcycle who were engaged in gossiping. They, seeing the police tried to escape along with motorcycle but were cordoned and nine persons along with five motorcycles were apprehended. On query, the person who was sitting over Passion Pro motorcycle bearing Registration No.BR31L653 disclosed his identity as Mantu Prasad (full address), the persons over Passion Pro motorcycle having no registration number disclosed their identity as Rintu Kumar Singh, Rajesh Kumar Yadav who was sitting behind, the person who was sitting over BR04Y1141 (Glamour motorcycle), Rajesh Kumar and the person sitting behind him as Raja Kumar, another person sitting over Passion Pro motorcycle having no registration number, Nausad Alam and the person who was sitting behind him as Mithilesh Kumar, the person sitting over Splendor Pro motorcycle having no registration number as Ankit Kumar and the person sitting behind him as Sonu Kumar. In presence of two independent witnesses Golu Kumar, son of Ajay Singh of village Piprahiya and Suchit Kumar, son of village Mohammadpur, there was personal search of the accused and during course thereof, from the personal possession of Mantu Kumar one mobile of Samsung company, from the possession of Nausad Alam one mobile of Nokia company, from the possession of Rintu Kumar one mobile of Micromax company were recovered for which seizure lists were prepared a copy thereof was handed over to the respective accused. Then it has been narrated by him that during course of inspection of the vehicle, some part of engine number and chassis number was found scratched which was recovered from the possession of Nausad. The accused persons were asked for document regarding the aforesaid vehicle whereupon they disclosed that these vehicles are stolen one and for the purpose of sale, they have assembled. Furthermore, during course of interrogation Mantu Prasad confessed that after collecting the stolen vehicle they used to sale it on low price. During course thereof, he had also divulged that one motorcycle has been sold to Rameshwar Kumar of village Patedha, another motorcycle to Manish Kumar (Discover), Nitesh Kumar (Honda Shine), Prabhat Kumar (Splendor Pro) and Amrendra Kumar of village-Deowaria (Passion Pro). He also volunteered to have the motorcycle recovered from the possession of those persons. They proceeded towards the destination as disclosed by Mantu Kumar along with the accused persons. During course thereof, they have also contacted Officer-in-charge of Maharajganj Police Station wherefrom ASI Mumtaz Ali along with armed constable joined them. They firstly reached at the house of Prabhat Kumar, son of Raj Kumar Raut lying at village-Patedha. Prabhat was present. In presence of two independent witnesses namely Himanshu Shekhar Sahi and Ram Prasad Manjhi they searched house of Prabhat Kumar and one Splendor Pro having no registration number was recovered from there. On query, Prabhat Kumar confessed that this motorcycle happens to be stolen property. He also confessed to have purchased from Mantu Prasad through Rintu Kumar. Accordingly, seizure list was prepared and a copy thereof has been served to Prabhat Kumar. Then thereafter, they proceeded towards the house of Rameshwar Prasad and as pointed out by the Mantu, they reached there. Found Rameshwar Kumar. Made search of his house and during course thereof, one Hero HF Delux motorcycle was recovered from a room lying adjacent to his courtyard for that, Rameshwar Kumar had disclosed that it happens to be stolen one vehicle which he purchased from Mantu Prasad through Prabhat Kumar. Accordingly, seizure list was prepared and a copy thereof was handed over to the accused. Then they proceeded towards the house of Manish Kumar and as pointed out by the Mantu they reached there. They have found Manish Kumar and Nitesh Kumar present. Then thereafter, their house was searched and from the Bunglow one Discover as well as one Honda Shine motorcycle were recovered. On query Manish Kumar and Nitesh Kumar disclosed that both the vehicles are stolen one. They have further stated that they have purchased it from Mantu Prasad through Prabhat Kumar, Rintu Prasad. Accordingly, seizure list was prepared for both the vehicles, independently and a copy thereof was handed over to Manish Kumar and Nitesh Kumar respectively. Thereafter, as pointed out by Mantu Kumar, they have gone at the place of Amrendra Kumar who was present there. In presence of Amrendra Kumar his house was searched and from his courtyard one Passion Pro motorcycle was recovered and for that Amrendra Kumar disclosed that the vehicles happens to be stolen one which he purchased from Mantu Kumar and for that, seizure list was prepared and a copy thereof, was handed over. Then, thereafter they along with the seized motorcycle as well as apprehended accused returned back to the Police Station. He had recorded his self-statement at the house of Amrendra Kumar. After coming to Police Station registered FIR and entrusted investigation. He had exhibited the respective seizure list having in his pen. He had exhibited the confessional statement of the Mantu Kumar having been recorded by him. He had identified the accused. During cross-examination at para-9 had stated that they met with seizure list witnesses at the place of occurrence. He had further stated that as per his information, some of the seized motorcycle were the subject matter of another cases but he is unable to divulge the same. In para-14 he had stated that no document was produced in his presence at the end of accused. At para-19 he had stated that he including other police officials were over the police jeep while chowkidars, on Tata Magic. All of them reached at the place of occurrence jointly. When they reached accused persons seeing them became ready to flee therefrom. Then had denied the suggestion that Ankit was apprehended one day prior to the occurrence from his shop. He had denied the suggestion that no motorcycle was recovered from Ankit Kumar. Then had denied the suggestion that as per instruction of the superior officials he had shown farji recovery. In para-20 he had stated that when they reached, Ankit tried to flee. He had further said that he identified Sonu Kumar. Then had denied the suggestion that the motorcycle having been recovered from Nasaud belongs to him. In para-21 had stated that he has got no information with regard to criminal antecedent of the accused persons. In para-23 he had stated that it is not a fact that recovery has been wrongly shown. 13. PW.9 is the Investigating Officer. He had deposed that on 29.04.2017 he was posted as ASI at Bhagwanpur Police Station. After registration of Bhagwanpur Hat P.S. Case No.93/2017, investigation thereof was entrusted to him. He received FIR on 29.04.2017 itself. Then had firstly copies the fardbeyan, seizure list, confessional statement of the accused Mantu in the case diary. Then thereafter, he recorded further statement of the informant, statement of the witnesses, wherein they have supported the case. He then, proceeded to place of occurrence. In para-2, he had shown the first place of occurrence to be Baba Bagicha lying at village Pipardiha and properly identified the same by boundary. Second place of occurrence is the house of Prabhat Kumar lying at village Patedha and properly identified the same, the third place of occurrence happens to be house of the Rameshwar Kumar and properly identified the same. Fourth place of occurrence is Bunglow of Manish & Nitesh at village Patedha wherefrom two motorcycle were recovered and the fifth place of occurrence is the house of Amrendra Kumar lying at village Deowaria and also detailed the same. He then, thereafter, recorded statement of Chowkidar Dilip Kumar, Mukesh Manjhi, Mokhtar Manjhi, Raj Kishore Kumar, Shri Manjhi, Rameshwar Rai, Rajdeo Manjhi. Recorded defence of the accused. Produced the accused before the court for judicial remand. In continuation of investigation he recorded statement of Bholu Kumar, Sujit Kumar seizure list witnesses who substantiated the same. He had also examined another set of seizure witness Himanshu Shekhar Sahi, Ram Prasad Manjhi. Then received supervision note of Dy.S.P. , S.P. At Police Station, Puteshwar Kumar Ram, son of Janardan, resident of Sadhpur, P.S.-Daudpur, District-Saran came and placed document of Daudpur P.S. Case No.86/2017 registered on account of snatching of his Splendor Pro motorcycle bearing Registration No.BR04L6906, Engine No. HA10ELDH K76909, Chassis No. NBLHA10ASDHK51819 which happens to be the subject matter of instant case. Another person Sudama Ram, son of Ramjeet Ram, resident of Aadarsh Nagar Mahadewa Siwan arrived who produced FIR of G.B. Nagar P.S. Case No.111/2017 for snatching of Honda Shine motorcycle bearing Registration No.BR29H 3415, Engine No. JC36E228477, Chassis No. ME4JC36CMA8154357 which has been recovered. Subsequently, Ram Naresh Yadav, son of Raj Bahadur Yadav, resident of Sipah, P.S.-Basantpur came and produced Basantpur P.S. Case No.131/2017 on account of snatching of his motorcycle bearing Registration No.BR29M5441, Engine No. HA11EFD9G15732, Chassis No. MBLHA11EWD9G02138, which has been recovered. Then thereafter, Krishna Kumar, son of Dwarika Prasad, resident of village +P.S.-Bhagwanpur Hat came and produced the FIR on account of snatching of Passion Pro motorcycle bearing Registration No.BR29Q3440. Then got proper identification of the accused verified from the Mukhiya of the respective panchayat. Then thereafter, one Vivek Kumar Sharma, son of Mahendra Sharma of village Tarwara Choudhary, P.S.-Patti came and produced the FIR at G.B. Nagar P.S. Case No.114 of 2017 showing snatching of motorcycle bearing Registration No.BR28M 2615, Engine No. HA10ENDHB63104, Chassis No. MBLHA10AWDHB59101 recovered and seized in the present case. Then made requisition to the District Transport Officer and the information having at his end has been duly incorporated in the case diary. According to report, vehicle no. BR29Q3440 stood in name of Krishna Kumar Prasad, Hero Passion Pro in name of Vivek Kumar Sharma, Hero Glamour BR04Y1141 in name of Mahendra Kumar while with regard to remaining, he could not be able to procure information from the concerned DTO. The informant of Bhagwan P.S. Case No.92/2017 has produced, original document relating to Passion Pro BR31L0653. After completing investigation submitted charge sheet against accused persons. During cross-examination at the end of Ankit Kumar, he had stated that he was not a member of the raiding party. He had gone to the place of occurrence in course of investigation. In para- 14 he had stated that two cases were instituted in Bhagwanpur P.S. since before while others were registered at different Police Station regarding snatching of those motorcycles which were recovered in the present case. In para-16 he had stated that report was obtained from the District Transport office regarding the motorcycles having been seized in this case. In para-20 he had stated that no FIR has been registered of his P.S. or other police against Ankit Kumar since before this case. At para-21 he had stated that he is unable to disclose who and where was apprehended as he was not the member of the raiding party. At para-22 he had stated that Ankit was apprehended on 28.04.2017 from his shop lying at Bhagwanpur. No motorcycle was recovered from the possession of Ankit Kumar. Then had denied the suggestion that he was knowing Ankit Kumar since before on account of his shop at Bhagwanpur. Then had denied that they have got Ankit implicated in this false case. On behalf of Nitesh, Rameshwar, Sujit at para-23 he had stated that he had not seized any of the motorcycle. All the motorcycles were handed over to him at Police Station. Inculpatory extra judicial confessional statement of Mantu Kumar was recorded by the Officer-in-charge. During course of investigation no incriminating material was found at the place of occurrence. At para-28 he had stated that other place of occurrence happens to be inhabitant one. During course of inspection of the P.O. as the night had fallen down on account thereof, he had not recorded statement of independent witnesses. Then had recorded statement of Niraj Ram, Baliram Pandit. In para-30 he had stated that Nitesh, Rameshwar and Rajesh have got no criminal antecedent. It has further been stated that the vehicle so seized bearing BR29M5441 has got correct registration number BR01N 7174 which happens to be the subject matter of Basantpur P.S. Case No.31/2017. On behalf of Manish, Prabaht and Rinku he had stated that from the possession of Rinku recovery has been made but from the possession of Prabhat, nothing has been recovered. Again clarified at para-34 that the vehicle which was recovered happens to be the subject matter of Ekma P.S. Case No.46/2017. The vehicle which was recovered from the possession of Manish happens to be the subject matter of G.B. Nagar P.S. Case No.111/2017. At para-36 he had stated that he could not trace out case against Discover motorcycle bearing Registration No. BR01AY 6773. 14. Then had denied the suggestion. No case was registered with regard to recovered motorcycle from the house of Prabhat. He had further stated that nothing has been traced out with regard to motorcycle recovered from the possession of Rintu Kumar. Accused persons have got no criminal antecedent. No forged document has been recovered. On behalf of Amrendra Kumar he had stated that he had visited house of Amrendra Kumar, nothing incriminating material has been recovered. G.B. Nagar P.S. Case No.114 of 2017 was registered relating to the recovery of motorcycle from Amrendra Kumar. Amrendra had not satisfactorily explained with regard to the recovery. 15. From the evidence available on the record, it is apparent that recovery is not denied. None of the appellants challenged their presence over the seizure list. None of the appellants had controverted their arrest. While cross-examining PW.7, informant there happens to be specific plea at the end of appellant Naushad that the motorcycle which has been seized from the possession of Nasaud belongs to him. No document has been exhibited at his end during course of trial to justify such plea. Admission at the end of Naushad supports the case of the prosecution regarding conduction of raid as well as seizure of the motorcycle. That being so, the seizure list witnesses having been declared hostile has got no bearing nor would give any kind of privilege to defence. From the evidence of Investigating Officer PW.9, it is evident that he had tried to give some bonanza to Ankit Kumar disclosing that he was arrested on 28.04.2017 from his shop lying at Bhagwanpur and further, no recovery of motorcycle from his possession was ever made. That part is also found corroborated at the end of PW.5, to some extent but controverted as disclosed during cross-examination that motorcycle was recovered from his possession, and is the subject matter of G.B. Nagar P.S. Case No.114/2017. But the same has got no adverse impact as appellant Ankit Kumar failed to explain with regard to his presence over the seizure list, Ext.2/B. PW.7, informant has not been challenged that he had apprehended the Ankit Kumar on 28.04.2017 nor suggested that he took his signature by force over seizure list nor was questioned. Not only this PW.9 was not questioned whether for the arrest of Ankit Kumar, there was station diary entry on 28.04.2017 or he was kept under custody without entry of where he was kept. Apart from this, at the time of production before the Chief Judicial Magistrate as well as during course of statement recorded under Section 313 Cr.p.C., no disclosure has been made to the effect that he was arrested on 28.04.2017 having no recovery of stolen motorcycle from his possession. In the aforesaid background, the disclosure having at the end of PW.5 as well as PW.9, is nothing but an un-catechized boon. In likewise manner, PW.9 at para-23 had stated that all the motorcycles which were seized were handed over to him at the Police Station. At para-37 suggestion has been given to him that the motorcycle which has been recovered from the house of Prabhat as well as Manish for that no case has been registered. In likewise manner at para-38 he had stated that with regard to motorcycle recovered from the possession of Rintu Kumar no case was registered. In likewise manner at para-48 he had stated that the motorcycle which was recovered from the possession of Amrendra Kumar happens to be the subject matter of G.B. Nagar P.S. Case No.114 of 2017, apart from connectivity of the recovered motorcycle with the different P.S. case numbers, and for that, there happens to be no cross-examination. Furthermore, possession of motorcycle could not be legal unless there happens to be owner book, which none of the appellant either produced or claimed. 16. In the aforesaid background, now, after crystallizing the materials available on the record is found bifurcated in two part, the first one apprehension of nine persons along with five motorcycles at Baba Bagicha and the second event on an inculpatory extra judicial confessional statement of co-accused Mantu Kumar though joined by the remaining accused recovery has been made from the house of Amrendra Kumar, Prabhat Kumar, Rameshwar Kumar, Manish Kumar and Nitesh Kumar. From the mode of cross-examination, it is evident that neither theme of joint possession has been taken on their behalf nor the witnesses have been cross-examined on the score of jointness. “19. ....But recovery of an object pursuant to the information supplied by an accused in custody is different from the searching endeavour envisaged in Chapter VII of the Code. This Court has indicated the difference between the two processes in the Transport Commissioner, Andhra Pradesh, Hyderabad & anr. vs. S. Sardar Ali & ors. (1983 SC 1225). Following observations of Chinnappa Reddy, J. can be used to support the said legal proposition: Section 100 of the Criminal Procedure Code to which reference was made by the counsel deals with searches and not seizures. In the very nature of things when property is seized and not recovered during a search, it is not possible to comply with the provisions of sub-section (4) and (5) of section 100 of the Criminal Procedure Code. In the case of a seizure [under the Motor Vehicles Act], there is no provision for preparing a list of the things seized in the course of the seizure for the obvious reason that all those things are seized not separately but as part of the vehicle itself. “12. The expression “provided that” together with the phrase “whether it amounts to a confession or not” show that the section is in the nature of an exception to the preceding provisions particularly Sections 25 and 26. It is not necessary in this case to consider if this section qualifies, to any extent, Section 24, also. It will be seen that the first condition necessary for bringing this section into operation is the discovery of a fact, albeit a relevant fact, in consequence of the information received from a person accused of an offence. The second is that the discovery of such fact must be deposed to. The third is that at the time of the receipt of the information the accused must be in police custody. The last but the most important condition is that only “so much of the information” as relates distinctly to the fact thereby discovered is admissible. The rest of the information has to be excluded. The word “distinctly” means “directly”, “indubitably”, “strictly”, “unmistakably”. The word has been advisedly used to limit and define the scope of the provable information. The phrase “distinctly relates to the fact thereby discovered” is the linchpin of the provision. This phrase refers to that part of the information supplied by the accused which is the direct and immediate cause of the discovery. The reason behind this partial lifting of the ban against confessions and statements made to the police, is that if a fact is actually discovered in consequence of information given by the accused, it affords some guarantee of truth of that part, and that part only, of the information which was the clear, immediate and proximate cause of the discovery. No such guarantee or assurance attaches to the rest of the statement which may be indirectly or remotely related to the fact discovered. 13. At one time it was held that the expression “fact discovered” in the section is restricted to a physical or material fact which can be perceived by the senses, and that it does not include a mental fact (see Sukhan v. Crown[AIR 1929 Lah 344]; Rex v. Ganee[AIR 1932 Bom 286]). Now it is fairly settled that the expression “fact discovered” includes not only the physical object produced, but also the place from which it is produced and the knowledge of the accused as to this (see Palukuri Kotayya v. Emperor; Udai Bhan v. State of Uttar Pradesh[AIR 1962 SC 1116]). “(1) The fact of which evidence is sought to be given must be relevant to the issue. It must be borne in mind that the provision has nothing to do with the question of relevancy. The relevancy of the fact discovered must be established according to the prescriptions relating to relevancy of other evidence connecting it with the crime in order to make the fact discovered admissible. (2) The fact must have been discovered. (3) The discovery must have been in consequence of some information received from the accused and not by the accused‟s own act. (4) The person giving the information must be accused of any offence. (5) He must be in the custody of a police officer. (6) The discovery of a fact in consequence of information received from an accused in custody must be deposed to. and the information must distinctly relate to that fact. 135. In the instant case, the recoveries made when the accused persons were in custody have been established with certainty. The witnesses who have deposed with regard to the recoveries have remained absolutely unshaken and, in fact, nothing has been elicited from them to disprove their creditworthiness. Mr. Luthra, learned senior counsel for the State, has not placed reliance on any kind of confessional statement made by the accused persons. He has only taken us through the statement to show how the recoveries have taken place and how they are connected or linked with the further investigation which matches the investigation as is reflected from the DNA profiling and other scientific evidence. The High Court, while analyzing the facet of Section 27 of the Evidence Act, upheld the argument of the prosecution relying on State, Govt. of NCT of Delhi v. Sunil and another[(2001) 1 SCC 652], Sunil Clifford Daniel v. State of Punjab[(2012) 11 SCC 205], Ashok Kumar Chaudhary and others v. State of Bihar[(2008) 12 SCC 173], and Pramod Kumar v. State (Government of NCT of Delhi) [(2013) 6 SCC 588]. 136. On a studied scrutiny of the arrest memo, statements recorded under Section 27 and the disclosure made in pursuance thereof, we find that the recoveries of articles belonging to the informant and the victim from the custody of the accused persons cannot be discarded. The recovery is founded on the statements of disclosure. The items that have been seized and the places from where they have been seized, as is limpid, are within the special knowledge of the accused persons. No explanation has come on record from the accused persons explaining as to how they had got into possession of the said articles. What is argued before us is that the said recoveries have really not been made from the accused persons but have been planted by the investigating agency with them. On a reading of the evidence of the witnesses who constituted the investigating team, we do not notice anything in this regard. The submission, if we allow ourselves to say so, is wholly untenable and a futile attempt to avoid the incriminating circumstance that is against the accused persons. “12. The other ground urged on behalf of the appellant is that the so called confessional statement of the appellant has no evidentiary value under law for the reason that it was extracted from the accused under duress by the police. It is true, no confession made by any person while he was in the custody of police shall be proved against him. But, the Evidence Act provides that even when an accused being in the custody of police makes a statement that reveals some information leading to the recovery of incriminating material or discovery of any fact concerning to the alleged offence, such statement can be proved against him. It is worthwhile at this stage to have a look at Section 27 of the Evidence Act. 27. How much of information received from accused may be proved.— Provided that, when any fact is deposed to as discovered in consequence of information received from a person accused of any offence, in the custody of a police officer, so much of such information, whether it amounts to a confession or not, as relates distinctly to the fact thereby discovered may be proved. 12. Placing reliance upon Ajay Singh v. State of Maharashtra (2007) 12 SCC 341, it was contended that extra-judicial confession can only form basis of conviction if it is voluntary and person to whom confession is made should be unbiased and not inimical to the accused. Learned counsel also placed reliance upon Madan Gopal Kakkad v. Naval Dubey and another (1992) 3 SCC 204 to contend that extrajudicial confession of accused should not have been obtained by coercion, promise of favour and should be voluntary in nature acknowledging the guilt. Learned counsel submitted that the officers who obtained extra-judicial confession of the appellant (Exts.-PW- 3/A and PW-2/A) had other vested interest to act upon and the appellant being a Peon must have been allured by the false hope of being absolved from the charges. (a) A and B are jointly tried for the murder of C. It is proved that A said—"B and I murdered C”. The Court may consider the effect of this confession as against B. "Gurubachan's confession has played an important part in implicating the appellant, and the question at once arises, how far and in what way the confession of an accused person can be used against a co-accused? It is evident that it is not evidence in the ordinary sense of the term because, as the Privy Council say in Bhuboni Sahu v. The King "It does not indeed come within the definition of" 'evidence' contained in section 3 of the Evidence Act., It is not required to be given on oath, nor in the presence of the accused, and it cannot be tested by crossexamination." Their Lordships also point out that it is "obviously evidence of a very weak type......... It is a much weaker type of evidence than the evidence of an approver, which is not subject to any of those infirmities." They stated in addition that such a confession cannot be made tile foundation of a conviction and can only be used in "support of other evidence." In view of these remarks it would be pointless to cover the same ground, but we feel it is necessary to expound this further as misapprehension still exists. The question is, in what way can it be used in support of other evidence? Can it be used to fill in missing gaps? Can it be used to corroborate an accomplice or, as in the present case, a witness who, though not an accomplice, is placed in the same category regarding credibility because the judge refuses to believe him except in so far as he is corroborated ? "the provision goes no further than this-- where there is evidence against the co-accused sufficient, if believed, to support his conviction, then the kind of confession de- scribed in section 30 may be thrown into the scale as an additional reason for believing that evidence." “10. There is no legal proposition that evidence of police officials unless supported by independent evidence is unworthy of acceptance. Evidence of police witnesses cannot be discarded merely on the ground that they belong to police force and interested in the investigation and their desire to see the success of the case. Prudence however requires that the evidence of police officials who are interested in the outcome of the result of the case needs to be carefully scrutinized and independently appreciated. Mere fact that they are police officials does not by itself give rise to any doubt about their creditworthiness. “25 In our judgment, the above proposition does not lay down correct law on the point. It is well-settled that credibility of witness has to be tested on the touchstone of truthfulness and trustworthiness. It is quite possible that in a given case, a Court of Law may not base conviction solely on the evidence of Complainant or a Police Official but it is not the law that police witnesses should not be relied upon and their evidence cannot be accepted unless it is corroborated in material particulars by other independent evidence. The presumption that every person acts honestly applies as much in favour of a Police Official as any other person. No infirmity attaches to the testimony of Police Officials merely because they belong to Police Force. There is no rule of law which lays down that no conviction can be recorded on the testimony of Police Officials even if such evidence is otherwise reliable and trustworthy. The rule of prudence may require more careful scrutiny of their evidence. But, if the Court is convinced that what was stated by a witness has a ring of truth, conviction can be based on such evidence. ‟40. ...The presumption that a person acts honestly applies as much in favour of a police officer as of other persons, and it is not judicial approach to distrust and suspect him without good grounds therefor. Such an attitude could do neither credit to the magistracy nor good to the public. It can only run down the prestige of the police administration". 27. Now coming to other aspect, there happens to be no evidence to justify the finding relating to Section 465 as well as 468 of the IPC whereupon, finding recorded by the learned lower court, is hereby set aside. To that extent, these appeals are partly allowed. So far Section 414 IPC is concerned, on anxious consideration to the facts and circumstances of the case, couple with analytical scrutiny thereof, it is found and held that prosecution has been able to substantiate its case whereupon, these appeals lack merit and are accordingly dismissed. Appellant, Prabhat Kumar (Criminal Appeal (SJ) No. 1064 of 2018) is on bail, hence his bail bond is hereby cancelled directing him to surrender before the learned lower court within four weeks to serve out the remaining party of sentence failing which the learned lower court will be at liberty to proceed against him in accordance with law while Mithilesh Kumar @ Mithlesh Kumar, Rameshwar Kumar, Rajesh Yadav, Amrendra Kumar (Criminal Appeal (SJ) No.699 of 2018), Rintu Kumar Singh @ Chandrakant Singh (Criminal Appeal (SJ) No. 847 of 2018), Rakesh Kumar, Naushad Alam, Ankit Kumar (Criminal Appeal (SJ) No. 902 of 2018) Mantu Prasad, Sonu Kumar (Criminal Appeal (SJ) No. 863 of 2018), Manish Kumar (Criminal Appeal (SJ) No. 1984 of 2018) are under custody which they will remain till complete saturation of the sentence.